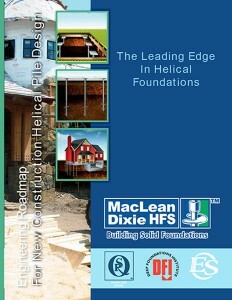 MacLean-Dixie’s helical foundation systems offer the leading edge. 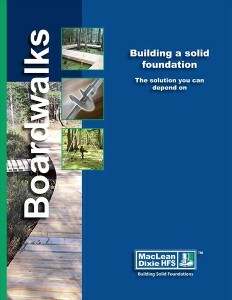 The best way to ensure solid, stable foundations that last for the life of the structure. Unlike helical piles with straight edges on their helices, ours has a specially rounded bevel edge to cut through the earth efficiently. So there’s less torque required to screw it in and less strain on the helices and shaft. We offer a Round Corner Square (RCS) solid steel square shaft or pipe type for maximum stability depending on soil conditions. 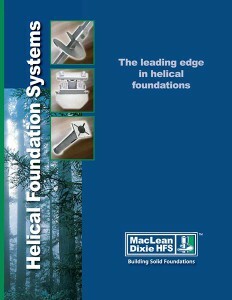 MacLean-Dixie foundation systems install quickly and easily. They’re simply screwed down into stable soil strata using hydraulic torque motor installation equipment. There’s no excavating or spoils to remove. No hammering or vibration that can disturb surrounding structures. Helical piles are available in RCS solid steel square shafts or pipe, depending on your installing torque requirements and soil type. Helix diameters—from 4 to 16 inches—are based on load requirements and are designed to “track” for minimal disruption of soil during installation. In fact, the helices are manufactured with a constant pitch to ensure that the only soil displaced is the helix thickness. The lead section with helices is installed first. Extensions can be added on quickly to reach the necessary depth. The square upset socket connection provides direct transfer of installing torque through the solid shaft and not through the bolts. Once the pile is in place, the appropriate engineered termination is used to transfer the load to the structure. Why use Maclean-Dixie’s helical piles for your new construction projects? The reason is simple—and so is the installation. There’s no heavy excavating equipment needed, minimal noise compared to a pile driver and no vibration or disturbance to surrounding structures. 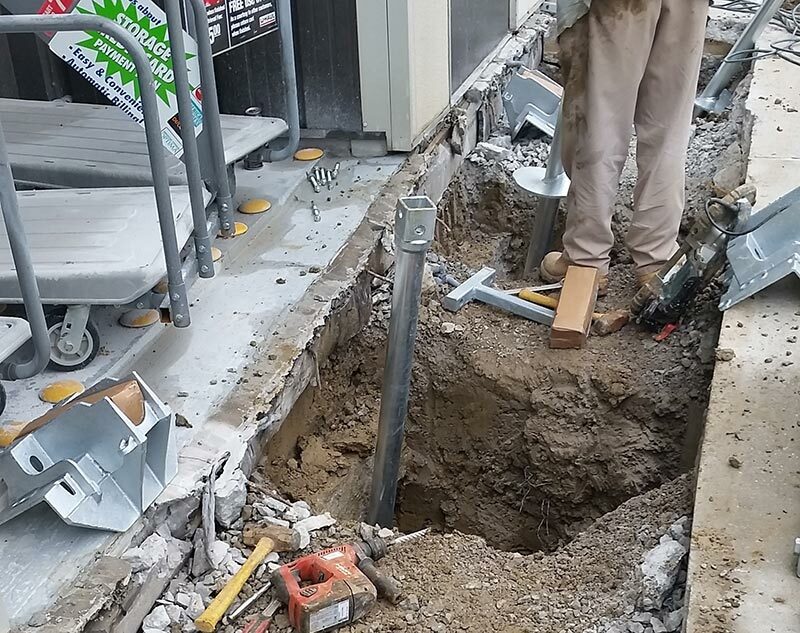 Our helical piles install quickly—in fact, a 20-foot long pile can be installed in just minutes. Since there’s no concrete required, there’s no cure time. And construction of footings can begin immediately after piles are installed. So you save time, plus money and manpower. Only first-quality steel. Every one of our parts, from the smallest nut to the largest pile, is made from only first- quality steel with properties guaranteed to meet ASTM steel material specifications. Steel that doesn’t meet these strict strength, content and quality standards is refused and never allowed into our plant. And all final products, unless otherwise specified, are hot dip galvanized in accordance with ASTM A-153 or A-123 specifications. No matter what your foundation project, we have the right product for the job. Our complete line includes everything you need for new construction, repair and restoration, walkways, marinas and lighting foundation applications. Products include helical and resistance piles, tieback anchors and soil nails, all of which must pass rigorous quality tests before they leave our plant.